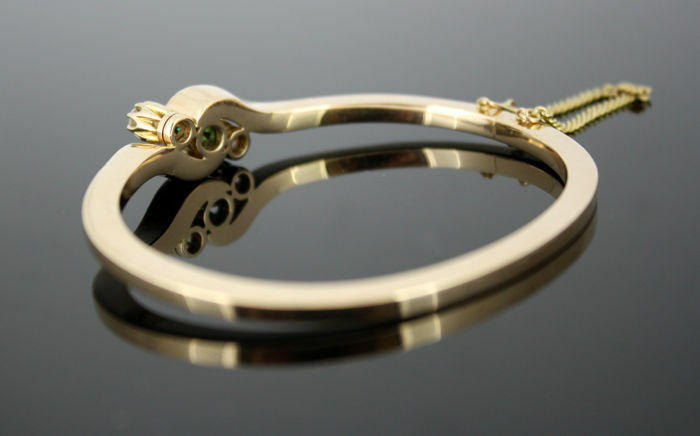 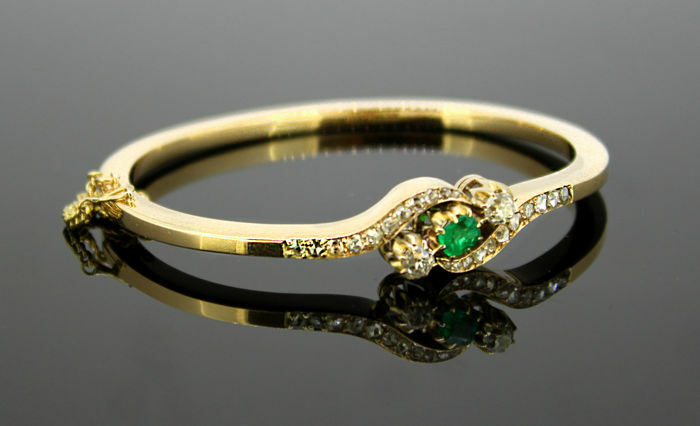 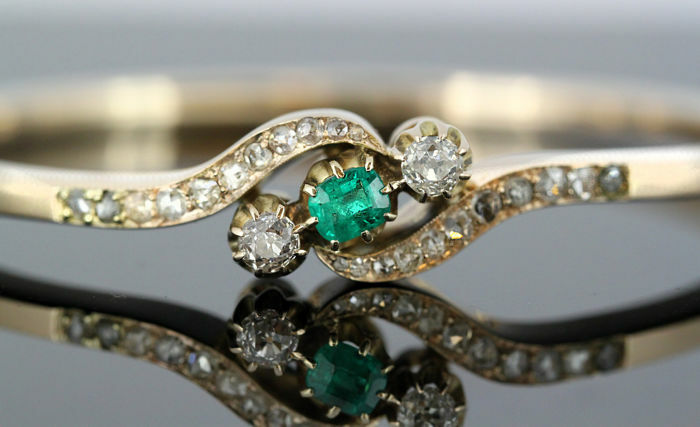 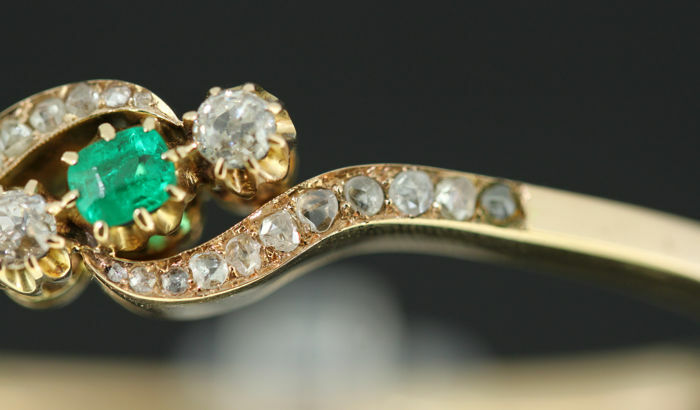 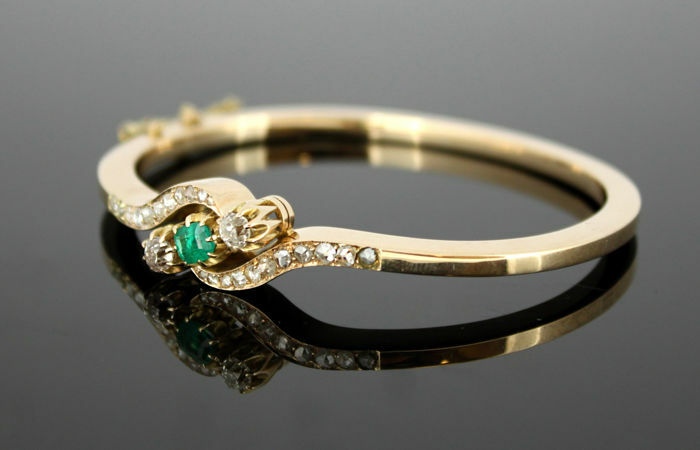 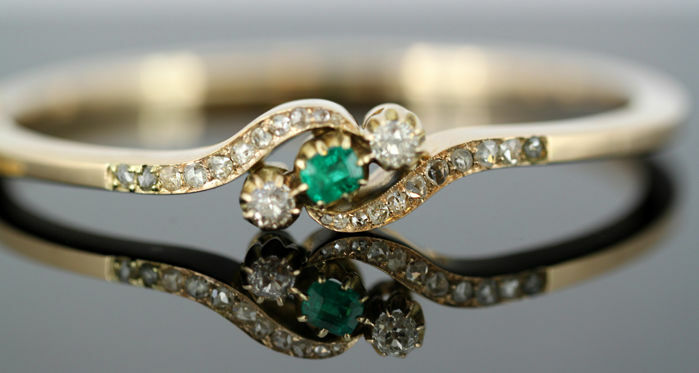 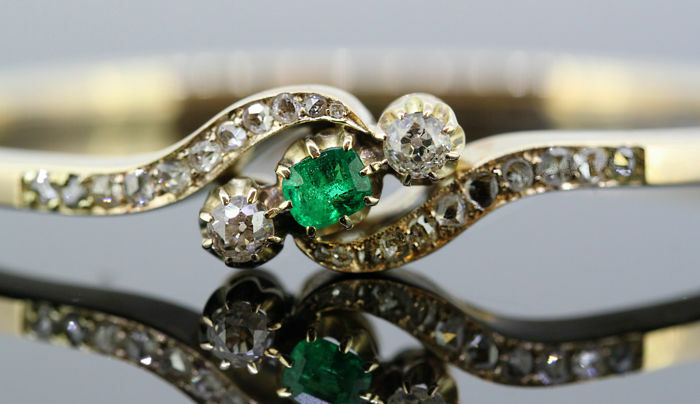 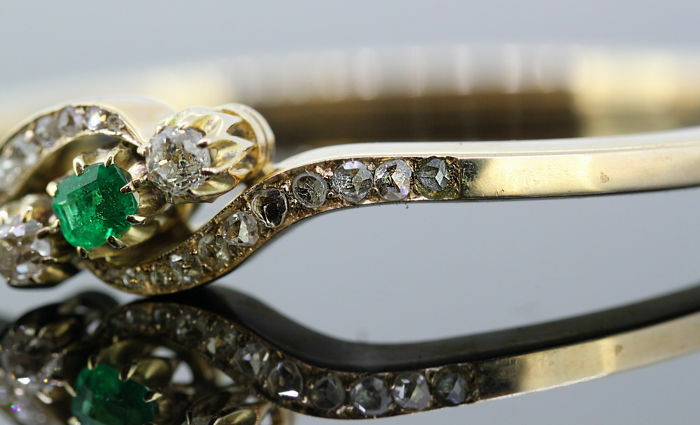 Antique 14k yellow gold bangle with old cut diamonds & natural emerald. 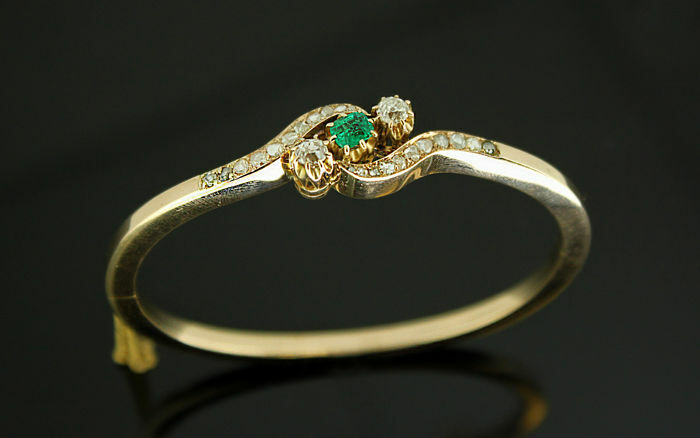 Maker: Fabergé workmaster August Wilhelm (1829-1903). 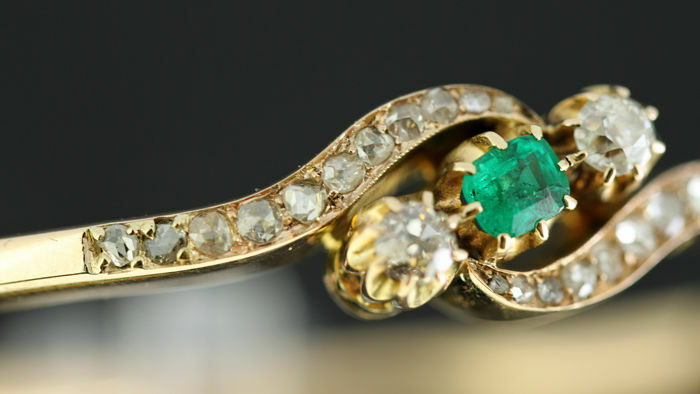 A Finnish workmaster, who was appointed chief jeweler by Gustav Fabergé in 1857. 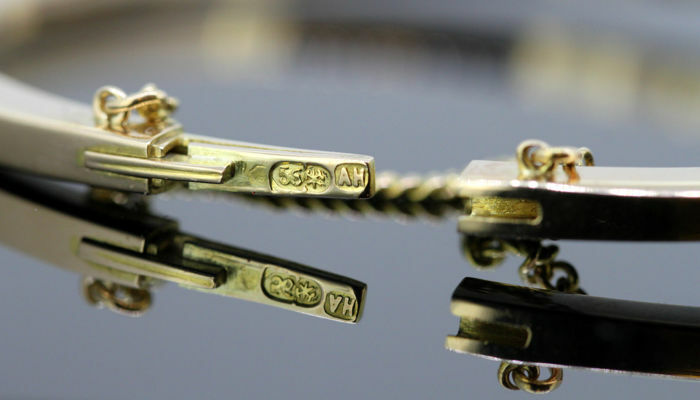 His master mark is 'AH'. 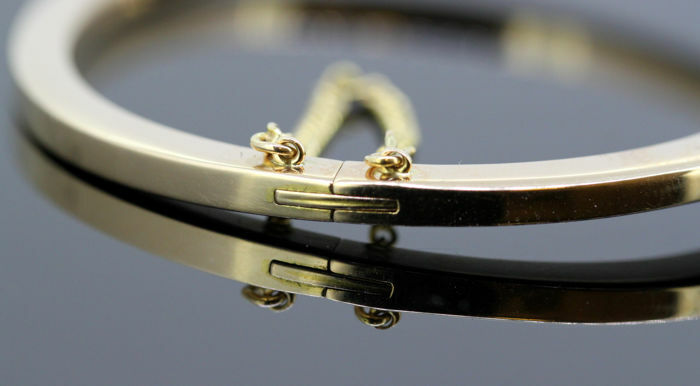 Condition: Bangle is pre-owned, has some minor surface wear and tear from general usage, no damage, excellent and pleasant overall condition, please see pictures for a better judgment of the items condition. 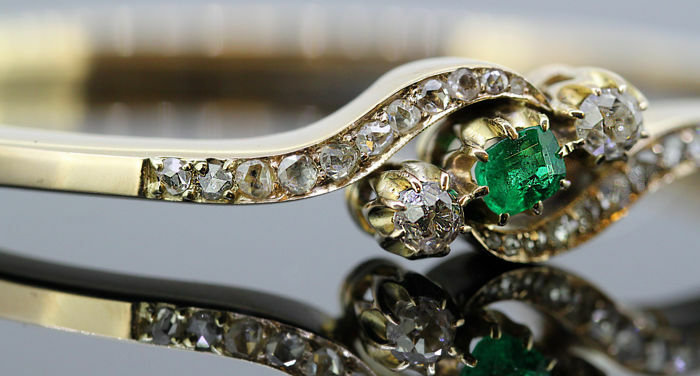 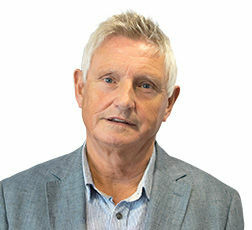 Shipping price includes express delivery, insurance, packaging & handling.